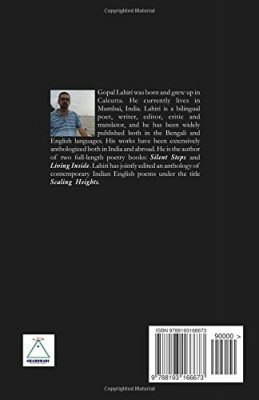 “I believe poetry can’t be hurried and the dominant sound in this book is its quietness, its gentle collapse, its own unhurried music, its unsung harmonies” waxes poet Gopal Lahiri in a freewheeling interview with Sanjeev Sethi. Gopal Lahiri’s love of poetry began early and over the years it hasn’t waned. If anything, it has intensified. His poems are regularly published all over the world. On the release of his latest book Tidal Interlude we caught up with the gifted poet. His soft, measured tone has a certain mellifluousness that speaks of his artistic leanings. He chooses his words. This cautiousness is perhaps an offshoot of his day job as an earth scientist. Over to the man of many parts, though in his core he is essentially a poet. Sanjeev Sethi: You have just released your new book of poems Tidal Interlude. How does it feel? Gopal Lahiri: It’s a great feeling, as if stumbling upon a pearl. 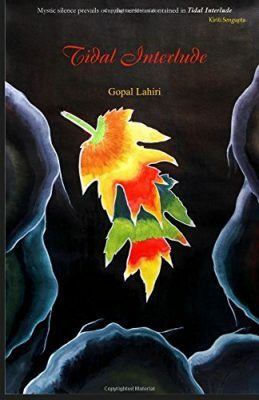 My last book Living Inside was published more than two years back from Authorspress, New Delhi. We had a great book launch and there was a buzz at that time. Credit goes to Sudarshan Kcherry, the soul of Authorspress. The book was well received and I thought for a while whether I should give birth to another poetry collection so soon. It was also very important to write completely afresh. Books are like that. They take off and then you have to follow them as it started growing on its own accord. 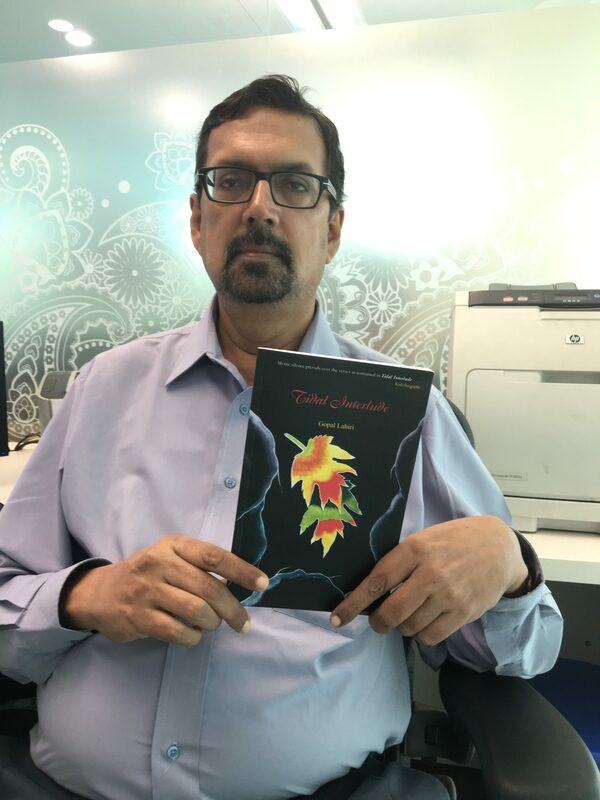 Finally I decided to go ahead and Kiriti Sengupta took great pain to publish my latest poetry collection Tidal Interlude. Much different from my earlier collections, Tidal Interlude is a passionate evocation of reflections of life tuned to tides fleshed out with economy and resonance of interlude. I believe poetry can’t be hurried and the dominant sound in this book is its quietness, its gentle collapse, its own unhurried music, its unsung harmonies. Most poems here do not overtly address any crisis, nor any inventive desperation but the underlying suffering is palpable. Hope my readers will hold my hand firmly in the growing bustle. SS: Very briefly tell our readers about yourself, your life as a poet. GL: I started writing poetry in my childhood, probably from class-IV. Initially, I was more inclined to write prose, especially short stories, features and essays in school magazines and local journals. My parents never discouraged me in any of my extracurricular efforts as I was also good at academics. As the time progressed, I was more shifted to writing poems both in my mother tongue Bengali as also in English, especially when I entered college. I am a product of Presidency College, Kolkata. Like many others, I have brewed many poems in the college street coffee house, the melting pot of art and literature in Kolkata. I felt gradually that poetry was the forum I should stick to even though alongside I joined a drama group and edited literary magazines as well in my early days. In the late seventies and early eighties, I used to freelance a lot for a Calcutta based daily, covering art and cultural events and a few other journals. The strange thing was that I studied science throughout, side by side, and completed my masters in Geology and subsequently joined the National Oil Company, striving for hydrocarbon exploration and exploitation. I am still in this profession and find poetry is my best companion, even now. SS: Besides being a gifted poet you are also a geologist by profession. Is there a problem in this or does it all fall into place for you? GL: Not really. Not when it comes to being a geologist. My profession never comes in my way of writing poetry. It’s not merely a Switch on/Switch off process. Probably, the concept based earth science and the nature itself help me to strike a balance between the two. SS: Science in its essence is rigid while the arts are fluid. Do you agree with this? Either way, why? GL: This is a common perception. Earth science is unlike physical science, not governed by rigid formula or equation. There is so much uncertainty in nature and we are yet to capture all the nuances. Imagination comes into play a lot and you have to be flexible in mind. In the oil industry we are working on various scenarios to firm up any strategy or plan. So it’s a different ball game and I think poetry sometimes acts as a catalyst. Being an earth-scientist, I really indulge in digging unexplored areas and bringing out something new which can be seamlessly integrated into poetry also. So in my case, there is no conflict as such between arts and science. SS: You write in Bengali, your mother tongue, as well as in English? What makes you choose a particular language for a poem? 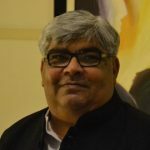 GL: In recent times, I write much less in Bengali, not due to any bias but for the desire to write for my new readers in English. Yes, sometimes it becomes a hard task but I choose the particular language if I feel comfortable to express my feelings and do justice to the theme of the poem. SS: In which language do you dream? GL: Ideally I should dream first, work on quiet reflections and then think of the medium, but in real life it doesn’t figure out that way! I was uprooted from Kolkata almost thirty years back and honestly now I dream more in English than in any other language. Is it due to my rootless settings? I really don’t know the answer. But what if some poems aren’t meant to be dreamt at all? SS: Poetry is essentially a self-taught art form. Do you think if there was formal training it would help or harm poets? GL: In my opinion, formal training in poetry will do no harm but it’s not essential. If you are passionate about poetry, it’s hard to resist from finding patterns, from making something that connects and progresses from randomness. It’s what satisfies us when we are able to make coherence and order, however tenuous, out of the disparate lines and evolve a poem. This can come from self-learning also. SS: What do you have to say about the book reviewing culture? I am asking you this because you are a well-known literary critic? GL: I think book reviews are a must as they help you to see where you stand in the literary space. Yes, we have heard a lot about engineered reviews or connection related reviews. Failing that, some of us can still say that “history will take care of it” in the same way a wronged believer is comforted by the idea that “God will judge.” Yes, I felt a little too stuffed with those reviews of shamelessly praising or slaughtering someone. But honest book reviews are not rare. GL: We learn that prudence should prevail in the face of the new. We may even learn to welcome the new as a freshening process. After all, no one among us wants to be seen as the historical per se. There seems to be no earthly justice to believe that poetry will die or be erased as apprehended by a few and a sense that the very act of reading itself is no longer relevant and perhaps even passé, a nineteenth century pastime. 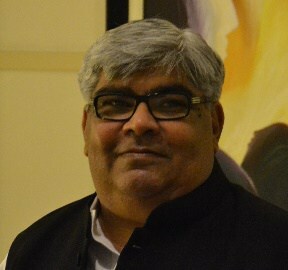 Gopal Lahiri was born and grew up in Kolkata. He currently lives in Mumbai, India. 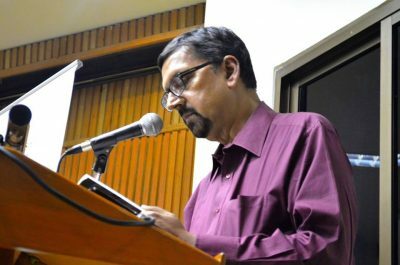 He is a bilingual poet, writer, editor, critic and translator and widely published in Bengali and English language. Anthology appearances (among others) include National Treasures, Indus Valley, Concerto, Poet’s paradise, My dazzling Bards, Jorasanko, The Silence within, Indo-Australian Anthology, Homebound, The Dance of the Peacock, Illuminations. 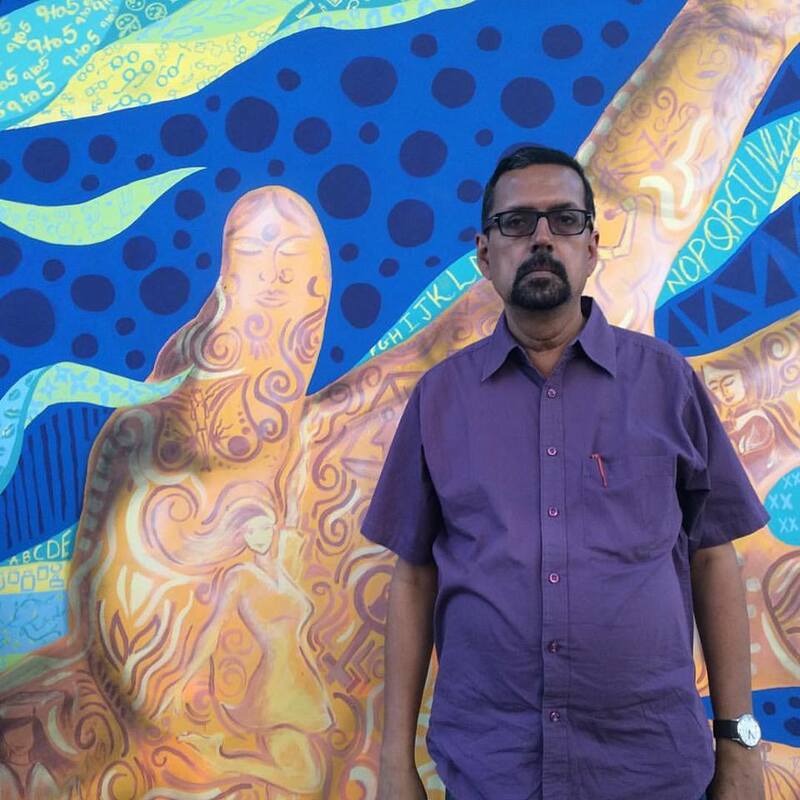 His works have featured in journals Indian Literature, Taj Mahal Review, CLRI, Haiku Journal and electronic publications Arts and Letters, Underground Window, Muse India, Poetry Stop, Debug, Eastlit and Coldnoon Diaries. He has jointly edited the anthology of poems: Scaling Heights. His third poetry collection ‘Tidal Interlude’ will be published soon. He can be reached at glahiri@gmail.com and gopallahiri.blogspot.com. 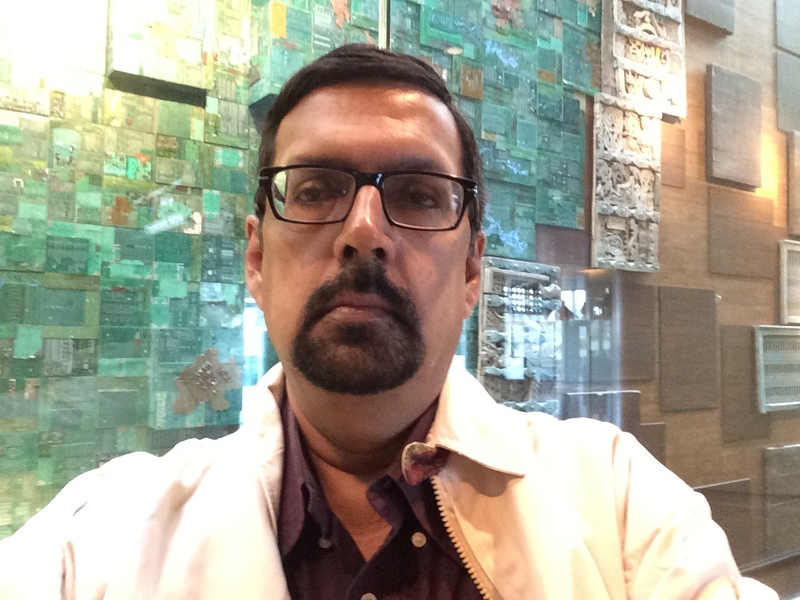 Sanjeev Sethi’s most recent collection of poetry is This Summer and That Summer (Bloomsbury, 2015). He has published two other volumes. His poems are in venues around the world: Off the Coast, Literary Orphans, Easy Street, Mad Swirl, The Blue Mountain Review, Postcolonial Text, The Provo Canyon Review, Dime Show Review, Squawk Back, Yellow Chair Review, Right Hand Pointing, Red Wolf Journal, The Aerogram, Chronogram, First Literary Review-East, The London Magazine, The Fortnightly Review, The Ofi Press Magazine, Lunaris Review, Expound Magazine, Otoliths, and elsewhere. He lives in Mumbai, India. Nice interview, Gopal da. Keep up your good work. Heartfelt thanks to Mr. Sethi for raising such interesting questions. I am not only proud of being your co-editor in Scaling Heights, I am proud to have published you as well. Thank you Kiriti, for the appreciation.